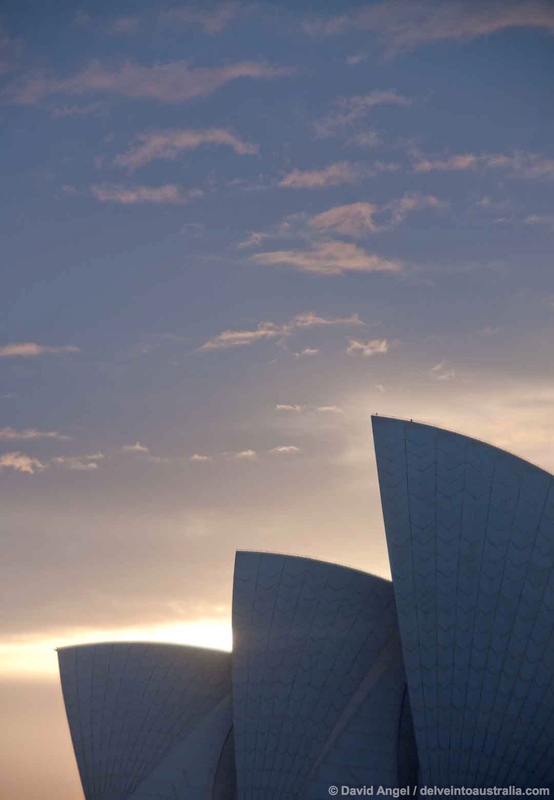 I seem to shoot some Sydney Opera House photos every time I pass through the city, which is fairly frequently. It’s an amazing subject to photograph, way ahead of its time and still unique. Its white roof sails – or shells, or even fruit segments – are recognised the world over. 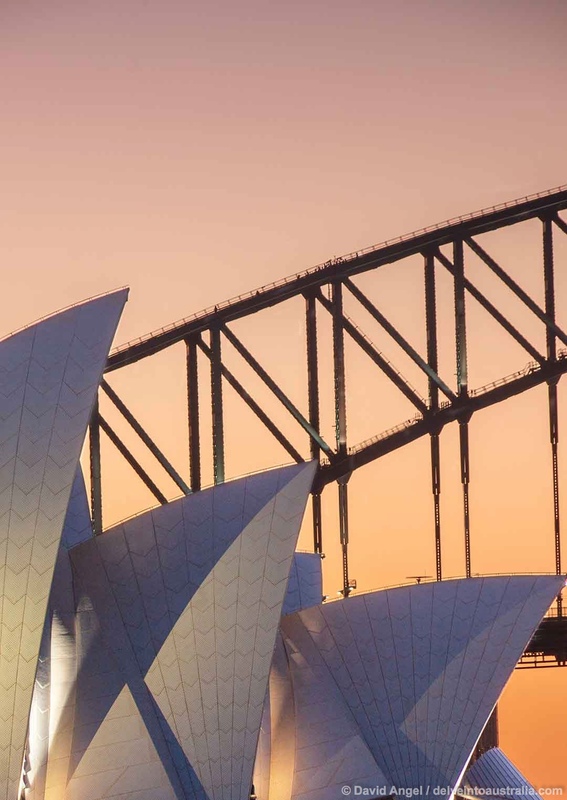 It is one of the great icons of Australia, one of the great cultural centres of the country and a UNESCO World Heritage Site, and we felt it was time to publish an essay of Sydney Opera House photos, to show it off in all its glory and tempt you to explore some of the lesser known locations around the Harbour. 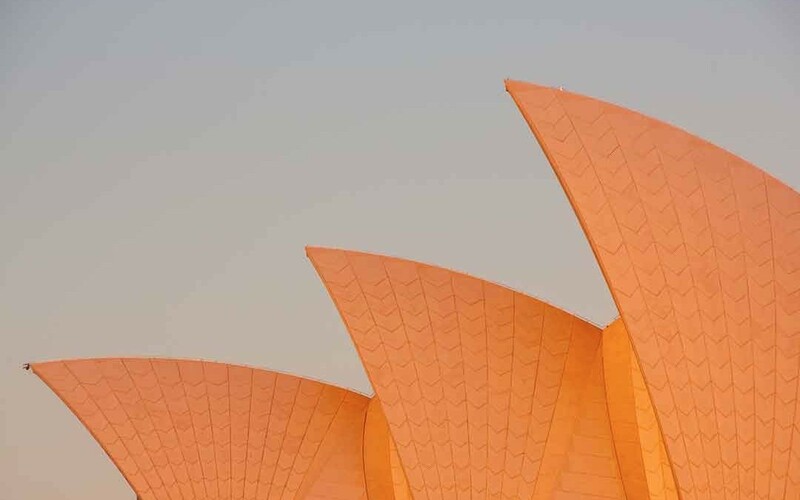 The beauty of photographing Sydney Opera House is that you always seem to find new angles. 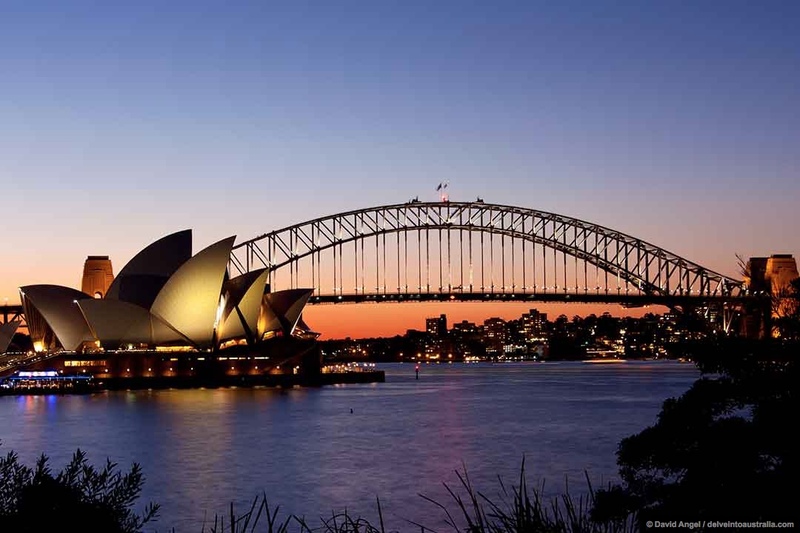 It’s situated in a very prominent location in the Harbour, on a headland called Bennelong Point, which was named after an Aboriginal man who quickly learned English and acted as an interpreter for the British colonists, and had a hut built for him on the site. Prior to the construction of the Opera House, it was the site of a humble tram depot. As you move around the Harbour, more and more compositions reveal themselves to you. The ultimate classic view featuring in so many Sydney Opera House images is from around Mrs Macquarie’s Chair, which is at the end of the next headland to the east, the other side of Farm Cove. From here another great Sydney icon, the Harbour Bridge, conveniently comes into view behind it. I’ve always loved the view through a long lens. 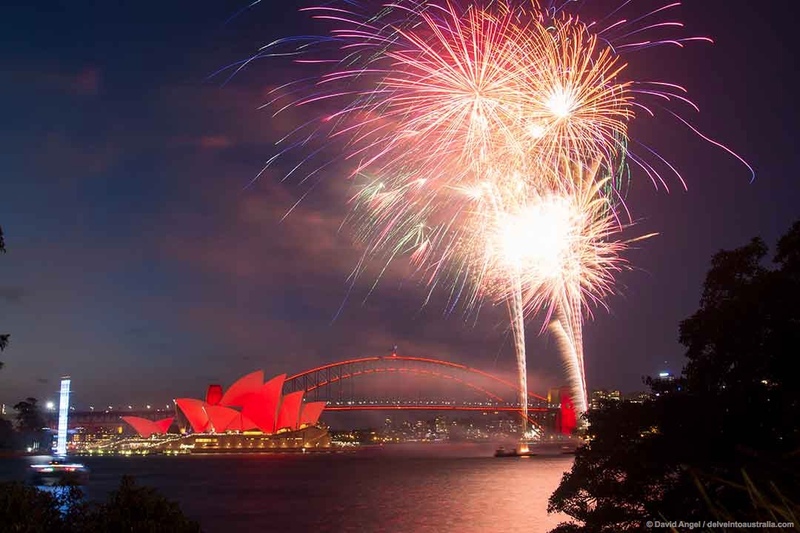 Sydney Harbour is one of the greatest places to see a firework display in the world. When growing up in the UK, every New Year’s Day newspaper I bought would have a shot of the fireworks in the Harbour with the classic view. Mrs Macquarie’s Chair is one of the most coveted spots to watch them from on New Year’s Eve, and you have to queue up and wait all day to get a spot. You can still get a sense of the occasion at the Chinese New Year celebration, which takes place in late January to mid-February. 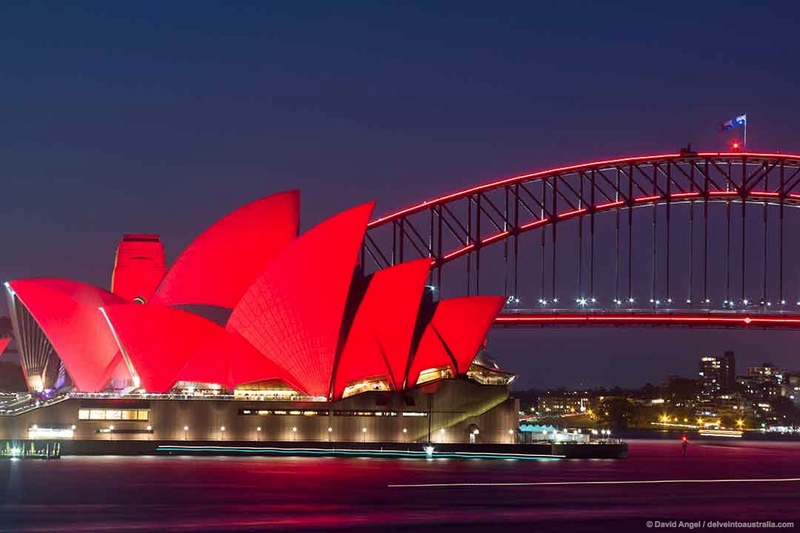 For this, the Opera House and Harbour Bridge are lit up red, a traditionally auspicious colour, and you’re treated to a spectacular salvo of fireworks with much smaller crowds – probably only 200-300 people, as opposed to 14,000 for New Year’s. 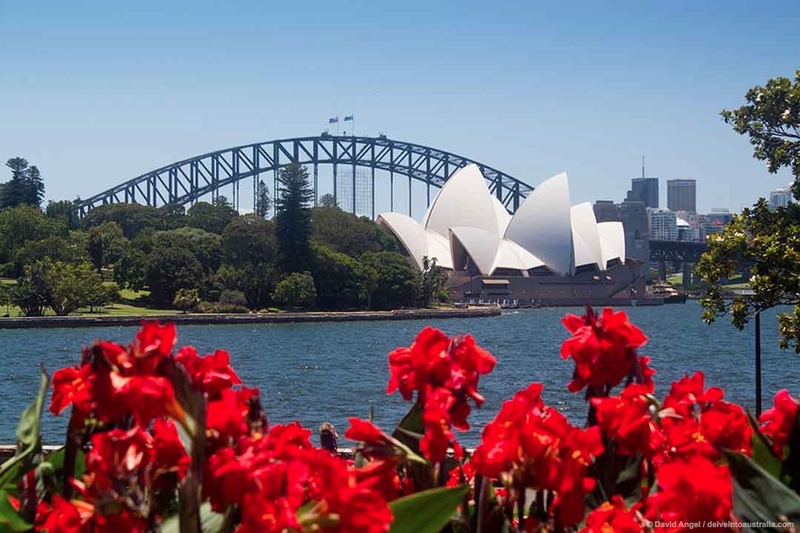 This view with flowers is from the Royal Botanic Garden, quite close to the Farm Cove shore. 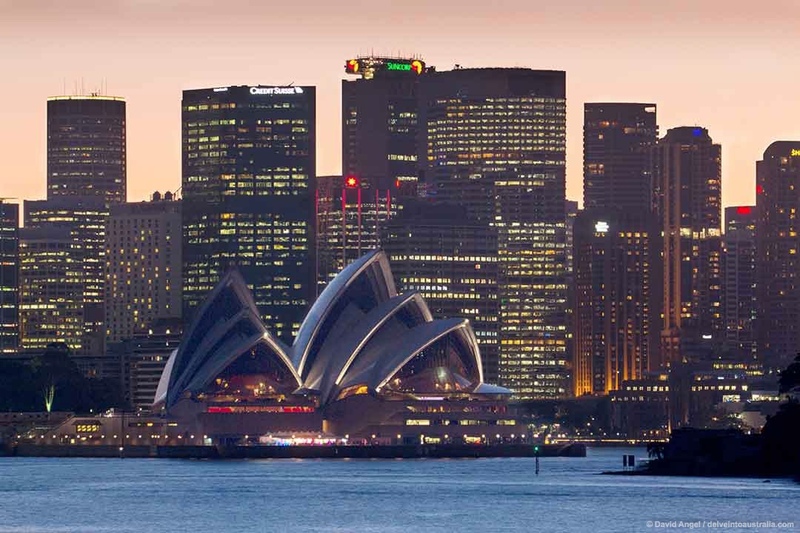 Many of the best Sydney Opera House pictures are shot from around Circular Quay. 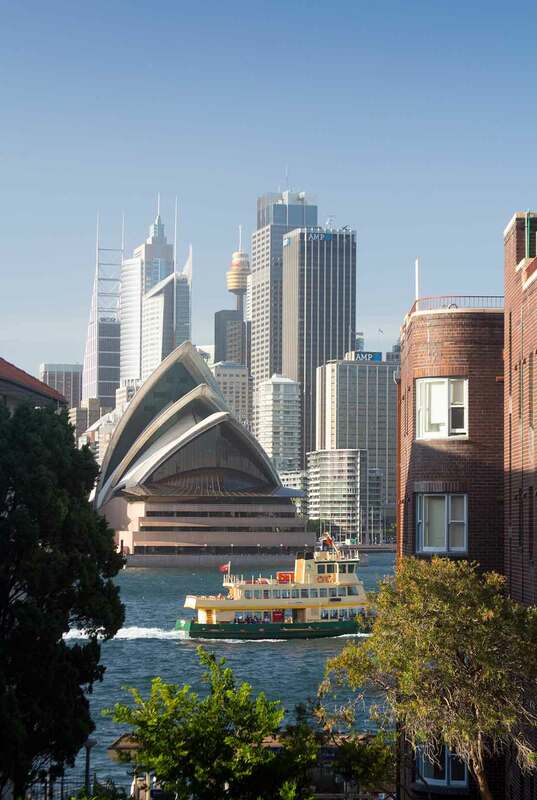 You can photograph it from one of the railway platforms at Circular Quay station, or go a bit higher to the Cahill Walk for this more elevated view. This upright shot is also from the Cahill Walk. As you move into winter, you can start shooting at sunrise from the Rocks side of the Quay. One morning the sails seemed to glow as the sun burst its way through the clouds behind. 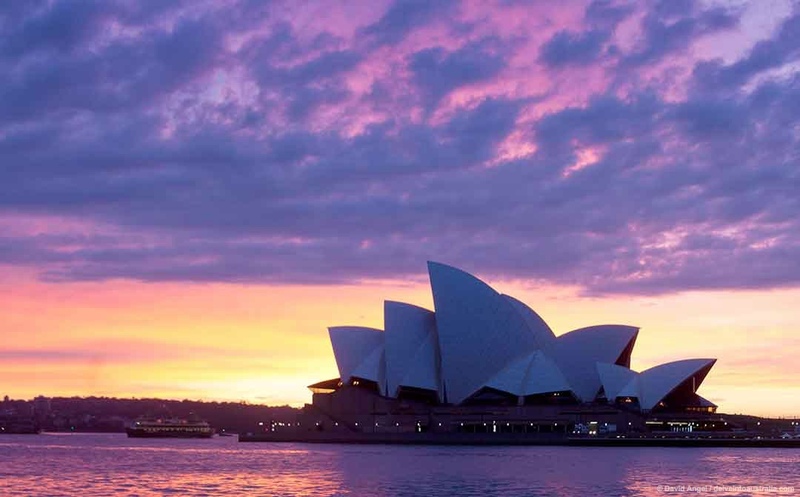 The Opera House also looks wonderful towards sunset, when the normally brilliant white sails turn orange for a few minutes, as it did for the lead shot of the essay. During the afternoon, provided you station yourself on the correct side of the ferry with a prime close-up view of the roof sails as you move into or out of the Quay. You can have all sorts of fun trying out different abstract compositions, and you may get lucky and have the ferry stuck in a queue for a berth at a wharf. This is a great vantage point over the whole Harbour, and is normally open until 5pm daily. Blues Point Reserve is a great viewpoint at the right time of year for sunrise and twilight shots featuring the Harbour Bridge. It’s on the north side of the Harbour, and this twilight image is from there. This spot also gets very popular on New Year’s Eve. This splendid park in Milsons Point has this view with the massive pylons of the Harbour Bridge framing the Opera House across the Harbour. 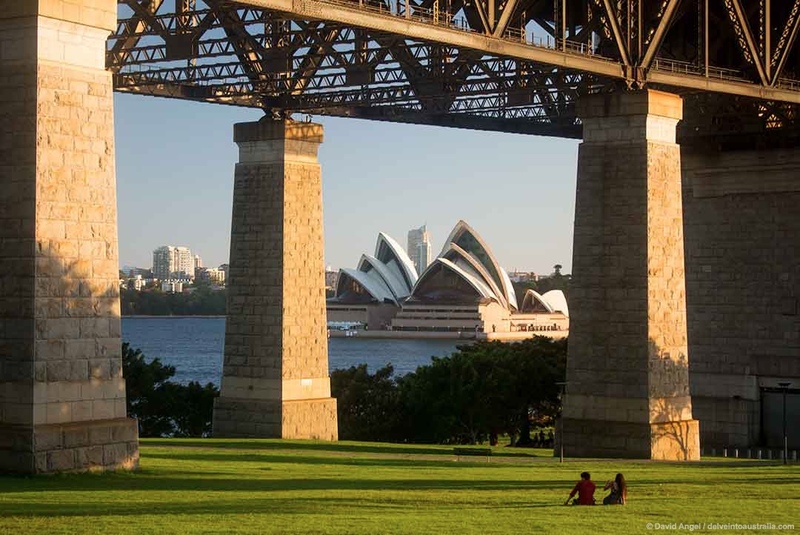 This view through an archway is on the foreshore walk which leads below the Harbour Bridge. 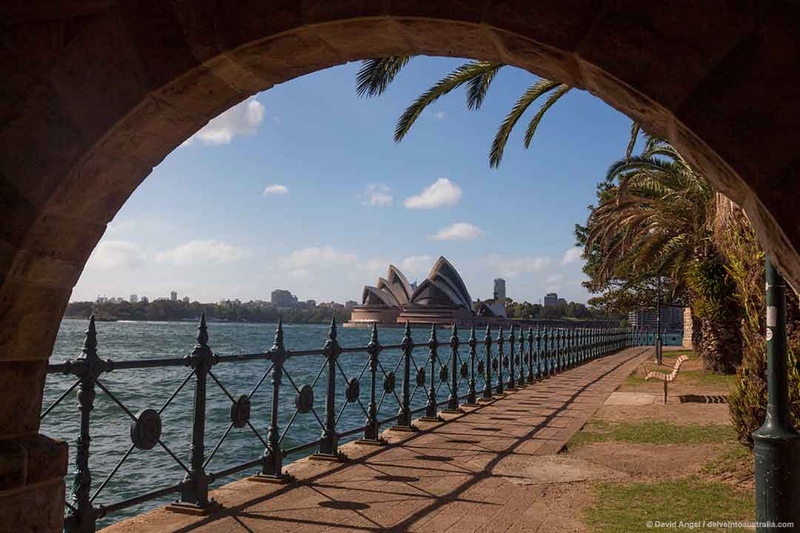 Kirribilli is the suburb immediately across the Harbour from the Opera House and you can get some fantastic images from here – there are a couple of jetties on the waterfront, as well as a small park and walkway close to the Harbour Bridge. I saw a ferry pass through the gap between the apartment blocks, with the Opera House behind, and waited until the next one came along. This is another great spot on the North Shore – from here, the high rises and skyscrapers of the CBD form a formidable backdrop. The view improves as you walk up the hill from the ferry wharf. 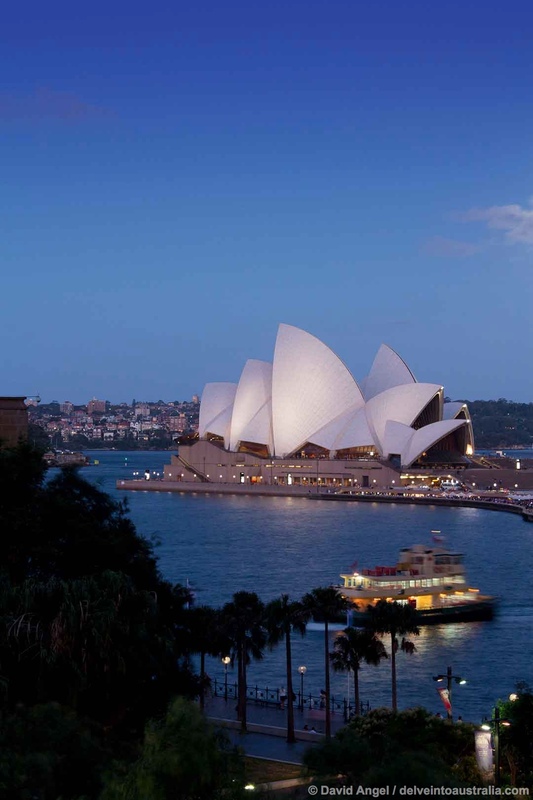 The Opera House is a short walk from Circular Quay train station and ferry wharves. Trains and ferries arrive every few minutes. Circular Quay train station is a stop on the City Circle line, and also on many journeys to the suburbs. 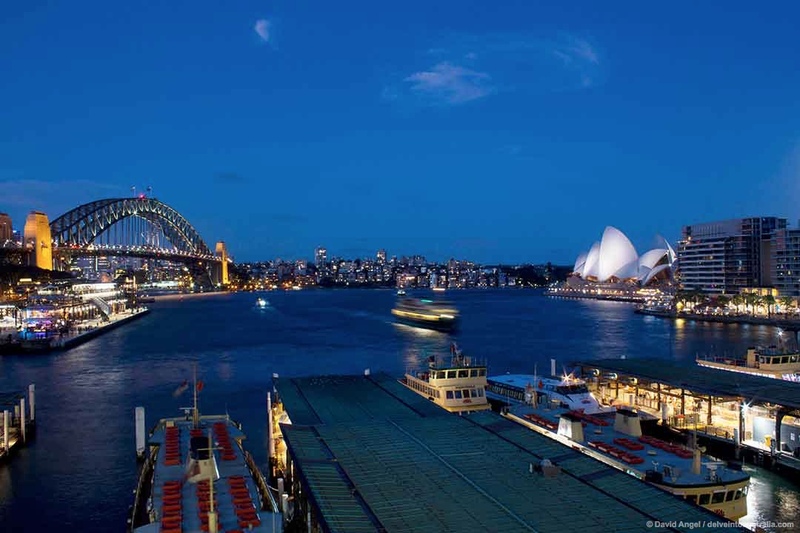 Circular Quay is also the hub of the Sydney Harbour Ferries network. For further information, check the Transport NSW website. The Opera House is mightily impressive from the outside, and the interior is also a must-see. 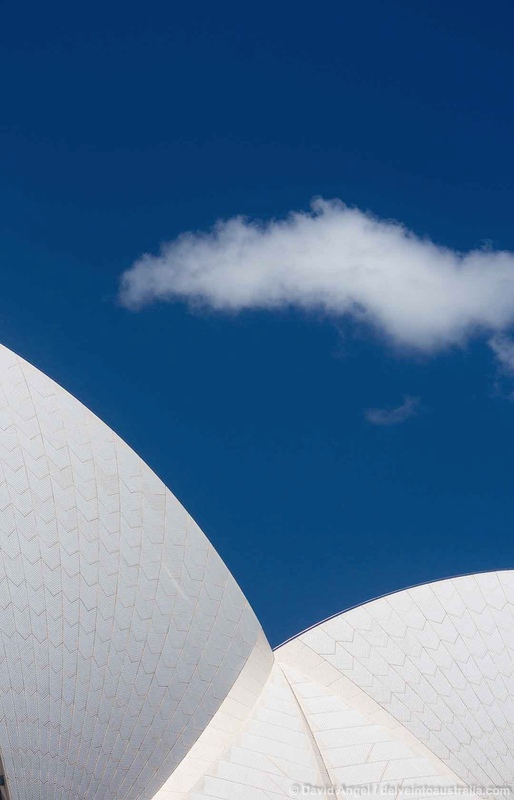 The Sydney Opera House site has information on guided tours here. The Opera House is home to six venues inside, and one outside, the Forecourt, where an old favourite of ours, The National, are playing a week after this post goes live. 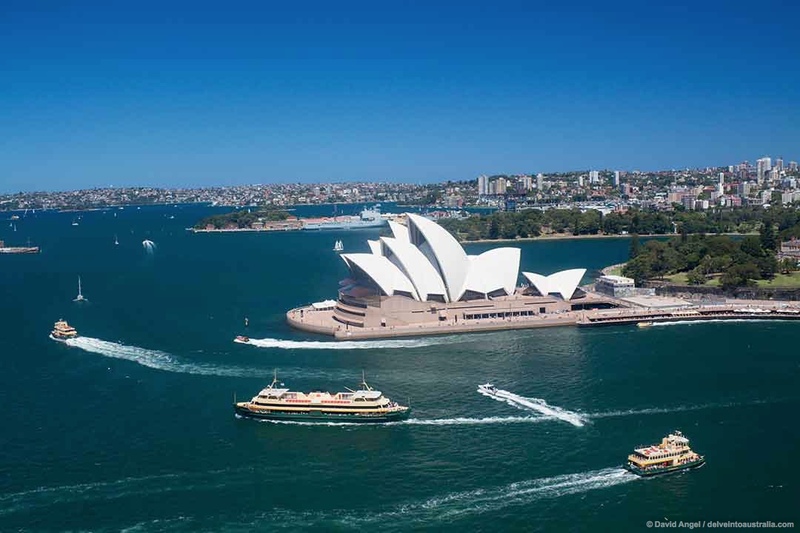 There is a great selection of accommodation near Sydney Opera House – around Circular Quay, in some of the high rise hotels of the CBD and in the historic Rocks district. 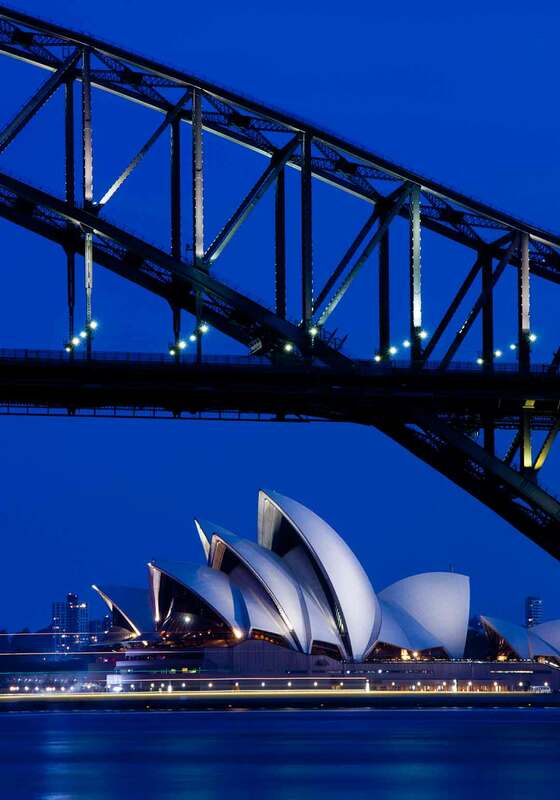 There are also plenty of hotels with harbour views, Sydney Opera House and Harbour Bridge included.